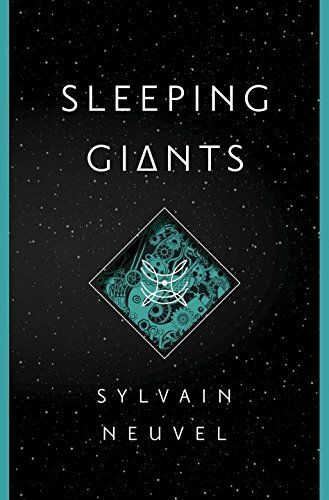 An inventive debut in the tradition of World War Z and The Martian, told in the cutting-edge cadences of interviews, journal entries, transcripts, and news articles, Sleeping Giants is a literary thriller fueled by a quest for truth—and by a struggle for control of earthshaking power. A girl named Rose is riding her new bike near her home in Deadwood, South Dakota, when she falls through the earth. She wakes up at the bottom of a square-shaped hole, its walls glowing with intricate carvings. But the firemen who come to save her peer down upon something even stranger: a little girl in the palm of a giant metal hand. Seventeen years later, the mystery of the bizarre artifact remains unsolved—the object’s origins, architects, and purpose unknown. Carbon dating defies belief; military reports are redacted; theories are floated, then rejected. Rose Franklin is now a highly trained physicist leading a top-secret team to crack the hand’s code. And along with her colleagues, she is being interviewed by a nameless interrogator whose power and purview are as enigmatic as the relic they seek. What’s clear is that Rose and her compatriots are on the edge of unraveling history’s most perplexing discovery—and finally figuring out what it portends for humanity. But once the pieces of the puzzle are in place, will the result be an instrument of lasting peace or a weapon of mass destruction? MichelleCecily (Grade: A) Each chapter is a new or continuing interview. I generally don't like letter or interview-based novels, but Neuvel does a phenomenal job. He not only tells the story, but immerses you in the suspense of the plot, keeps your attention rapt, and makes you feel like you really know the characters. The plot is simultaneously plausible and fantastic. LeahBookishObsession (Grade: A) A little bit War of the Worlds meets Transformers meets…something…completely and totally unique. This is written in an interesting way, sort of similar to The Illuminae Files format, but not as crazy. It's all done in a series of interviews given by a man who remains nameless throughout the entire book. He is…ugh…annoying, but essential to the story. This was phenomenal, I just couldn't stop listening to it. I listened to most of it in one day. It has a full cast of narrators. spfx crew (Grade: D+) The interview style didn't really work as a substitute for someone's inner dialogue about their personal relationships, those scenes usually came off as creepy. The story itself didn't feel incredibly original.